Often Copied – Never Surpassed. 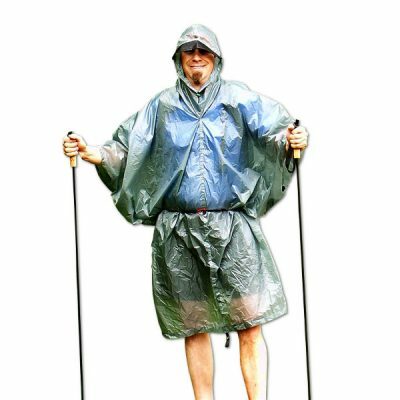 Our 3-Layer eVent Rain Mitts are the most popular single brand gear item on lightweight thru-hiker gear lists the world over. Since their release in 2007, they've been 'along for the ride' with many a long distance hiker. Their excellent performance has been proven over, and over, and over. JUSTIN LICHTER “TRAUMA”: With over 15 long thru-hikes covering over 50,000 miles, including the first ever winter PCT thru and first ever continuous thru of the 2,400+ mile Great Himalaya Trail, Trauma has used the eVent Rain Mitts with a liner in very low temperatures. 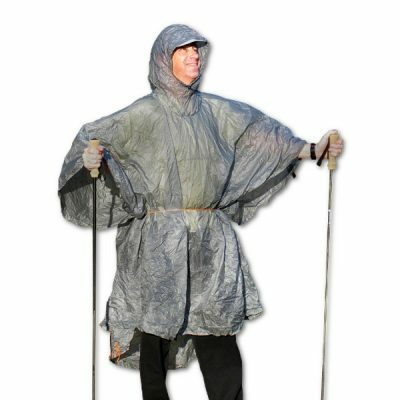 ANDREW SKURKA: Long distance hiker, explorer, and 2008 National Geographic Adventurer of the Year, took the eVent Rain Mitt on the 6,875 mile Great Western Loop. ANITA KASS “NITRO”: Used these on her 2,900 mile CDT and Triple Crown finish (AT, PCT, CDT). Anita is one of the very few women to Triple Crown primarily solo. ERIN & BRENTWOOD HIGMAN: Used these on their 4,000+ mile “Journey on the Wild Coast,” from Seattle to the end of Alaska. At one point in an early season Alaskan blizzard, they were forced to stuff grass into the mitts as insulation! Why are our mitts so popular? MLD 3-Layer eVent Rain Mitts have articulated thumbs positioned off the palm face, not the standard design with thumbs out the side seam. They also have tall wrist cuffs for proper overlap with rain jacket wrist closures. 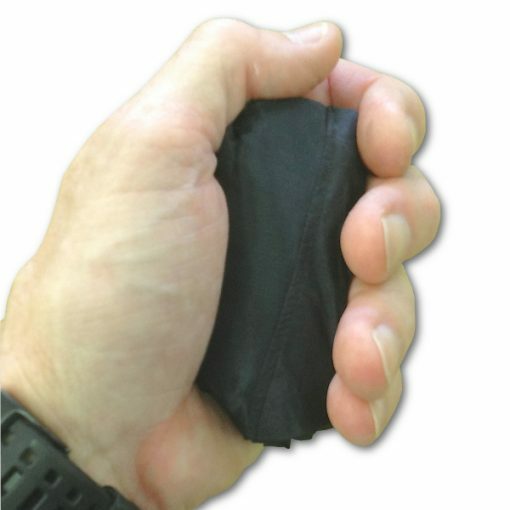 They’re designed for the wrist bungee to last a very long time and be a one-hand pull or loosen maneuver that is functional over other layers. And, they weigh less than an ounce per pair! 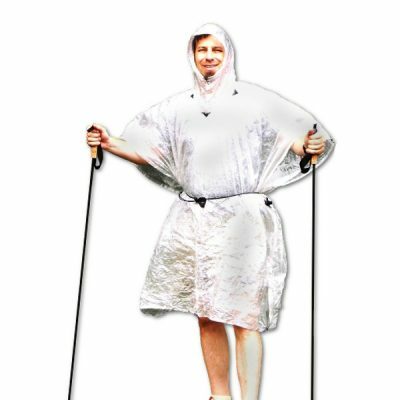 • All 3-layer SuperLight 10d eEVENT ripstop fabric is the lightest fully waterproof, highly breathable and durable fabric available. Our top quality version of eVENT fabric is rated at 30,000+ g/m2/24 hrs. • The inner face of the 3L matrix (inner lining + eVENT membrane + face fabric) is a micro-textured tricot lining that helps dissipate and transfer moisture. It also protects the eVENT membrane from getting dirty and clogging and feel less clammy on the skin. 3-L eVENT RULES!!! 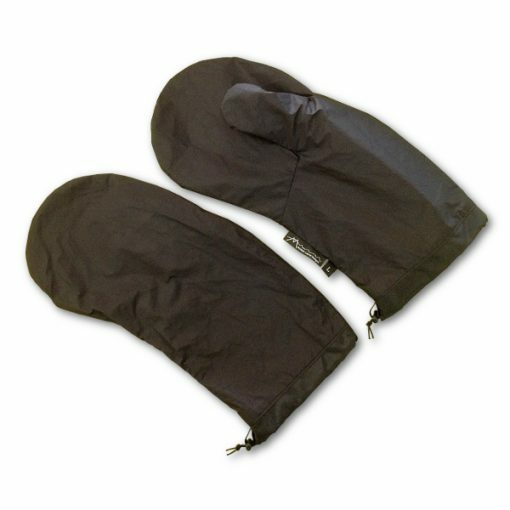 • Comfort down to 35+ degrees worn alone or mid 20’s with a liner glove while on the move. • Minimum of seams to maximize strength. • Anchored wrist cord lock + bungee cord closure is easy to use while wearing. 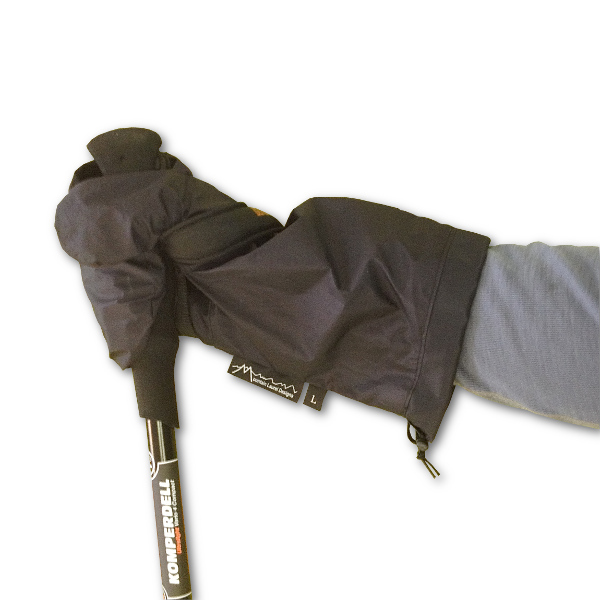 • Ergo wrist and thumb shape reduces seam stress while holding trek poles. • Long gauntlet wrist covers jacket cuffs. • Sized to fit over a light to medium thick glove/mitt liners. Sized a bit larger than some mitts to give more room to vent and to not stress the seams under a trek pole strap. • Option: Using replaced smaller bungee cord and a tiny cord lock can save 0.2 oz. 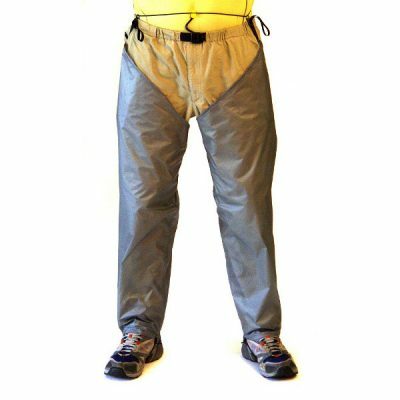 NOTE: Requires user seam sealing! Check out the “Seam Sealing” tab for instructions, tips, and an instructional video. 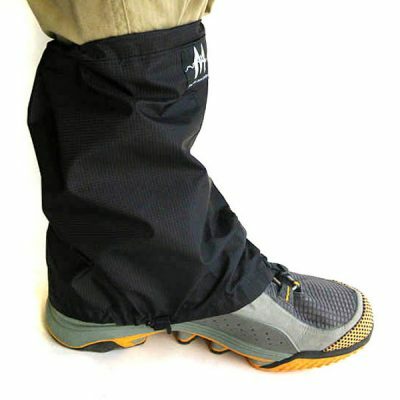 eVENT RAIN MITTS are sized slightly large for layering and comfort using a trekking pole strap. Order the size you would normally pick in any glove size. LARGE SIZE FITS: Men that usually get large gloves or have x-large hands. *Size corresponds to most light glove liners. If in doubt, SIZE UP! Minimal seam design balances the need for strength in a light fabric while maintaining a functional fit and thumb articulation. If you are still unsure about which size to order: With your hand flat, measure from you first main wrist crease at base of your hand to the tip of your middle finger. Greater Than 8.5 in | + 22 cm? This is very rare, but if it applies to you: contact us for a possible custom order of XLG sizes. Each pair of eVent Rain Mitts comes with one tube of McNett Seam Grip Seam Sealer. It is STRONGLY recommended you use this supplied seam sealer to seal and strengthen the seams. To do this, use paper towels, socks or some other soft stuffable cloth or paper to fill out the inside of mitt to press the seams out nearly flat. You are filling the inside of the mitt and sealing the outside seam. Stuff the thumb first and then the rest of the mitt until full. It takes about a half roll of paper towels per mitt. The paper towels will be clean and usable after unstuffing – so no waste. Stuff the mitt fairly tight, so all the seams are not kinked. Keep it stuffed tight as you are filling it. DO NOT stuff it half full and then start cramming it down—Too much pressure will stress the seams. Hang the mitt from the bungee and let dry overnight.You can test the seal by filling the mitts with water after 24 hrs and looking for leaks and reapply a small amount over any leaks. Do not force squeeze to test- use only light pressure! Like so many other big mileage long distance hikers, my MLD eVENT rain mitts have been with me for thousands of miles of hiking. When you need them, they are there, and do their job. When do you not need them, at their crazy small pack space, and 1-ounce weight, they are not something that is going to take up space or add undue weight. Nice long length up the wrist/arm really helps keep any rain from getting into the glove. Do not let the task of seam sealing put you off from buying these. It is easy, fast, and a no-brainer to do. And if you only have to deal with light rain in short spurts, you probably do not even need to seam seal them. I live in the Pac Nw and these work great, but they are huge. They work well over larger mittens, but I like using them best for milder conditions where I wear gloves and get cold and wet. I am instantly warmed up by putting these on, but even the Small is huge. They are so lightweight I always have them with me and they can be a lifesaver! BUT please make an XS!